The General Data Protection Regulation (GDPR) is the name given to the new law that will come into effect on 25 May 2018 to provide added protection and security to the data that businesses hold on, and about, individuals. It will replace the UK’s Data Protection Act (DPA). There has been a huge change in the amount of data, and the way we use it, since the Data Protection Act came into effect 20 years ago. Back then, a home PC was a rarity, now it’s pretty much the norm and households typically have multiple devices (PCs/laptops, phones, tablets, smart TVs and other internet connected devices) whilst the majority of businesses are totally reliant on IT and data. What impact will the GDPR have on my business? There will be a need to ensure that the way you collect, store, manage, use and destroy data is in compliance with the new regulations and there may be a requirement to employ new staff, outsource services or allocate new responsibilities to existing employees. DPOs can be employed or outsourced but must report to the highest level of management. Businesses must take data protection requirements into account from the inception of any new technology, product, or service, that involves the processing of personal data, with an ongoing requirement to keep those measures up to date. However, if you have fewer than 250 employees, the requirements are less onerous and you’ll only need to comply if your processing is “likely to result in high risk to individuals, the processing is not occasional, or includes sensitive personal data. However, because the processing of employee data is likely to involve sensitive personal data there will be an obligation on all organisations to maintain documentation, no matter what their size. With the removal of registration and fee payment, the ICO loses their main source of income and this could make them keener to catch organisations in breach and fine them. Affected Data Subjects – where the breach could leave them open to financial loss, for example. If the risk is high, this notification must be without undue delay. When does the GDPR come in to law? Current data protection laws apply if you are located in the EU, or make use of equipment located in the EU, such as servers. The GDPR applies whether or not you are located in an EU country – it applies if you offer goods or services to EU residents or if you monitor their behavior. If you want to transfer data beyond the EU (if you use a server based in the US to do your email marketing, for example) you need to ensure that the destination country has been recognised as having “adequate or equivalent” data protection regulations and you will have to ensure that suitable safeguards are in place to ensure the protection and security of the data you are transferring. Currently, fines across the EU for a Data Protection Breach vary greatly with the UK having a maximum fine of £500,000 for a breach of the DPA. One of the goals of the GDPR is to ensure that fines are consistent across national borders and to impose a significant increase in fines to emphasize the importance of good data management and security. When using Data Processors, ensure you include terms in your agreement relating to immediate notification of any data breach. Review employment contracts, handbooks and policies. Is contractual “consent” sought? The GDPR will have a wide reaching impact on most businesses, both large and small, which make use of data within the organisation. Within the GDPR there are many undefined phrases, such as what counts as “large scale” and what is “new technology” and it is likely that these will only be determined as part of case law i.e. when a company is prosecuted for a suspected breach and their defence (or prosecution) need an accurate description of such terms. It is likely that things will change as we get closer to implementation. However, you should start your preparation as soon as possible and the ICO has published a useful leaflet called “12 Steps to Take Now” which provides more helpful advice. I’m a digital marketing and SEO professional, not a legal practice. As a consequence, this should be used as a guide to the GDPR and legal support sought to ensure that your business is in compliance. 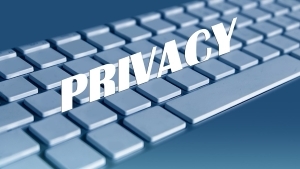 Right to be Forgotten – The right to request the complete deletion of all personal data. Subject Access Request – A request that an individual can make to find out the data that an organisation has relating to them.